It is IWAKI’s overall mission to produce pumps of high quality to ensure that working with chemical fluids is easier and safer. The magnetic coupling in our pumps ensure no leakage or spillage of hazardous liquids into the environment and therefore also to the people working close to the pumps. Magnetic coupling ie. no shaft seals therefore no leakage. No toxic or hazardous fumes into the environment. Considerably longer service life of the pump itself. IWAKI’s pumps are designed with a mechanism to withstand dry running. High magnet power of the rare earth magnets prevents the magnet capsule coming into contact with the thrust ring of the rear casing, thus preventing melting of fluororesin components due to heat generation. This greatly improves resistance against dry running. Dry running is a problem for all types of pumps with or without shaft seals. IWAKI’s pumps offer you yet another advantage compared to traditional pumps. 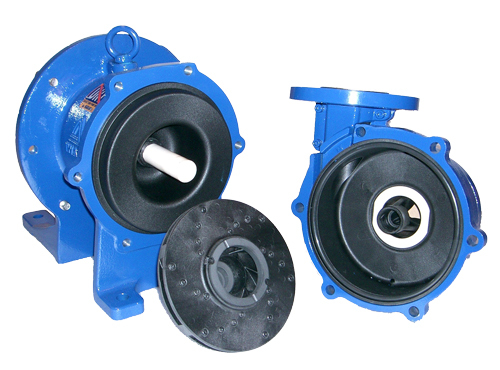 In traditional pumps, dry running causes overheat and eventually breaking the shaft seal.